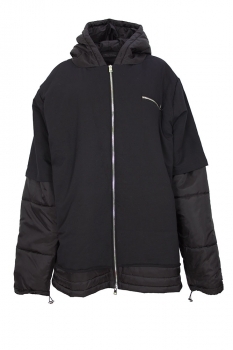 Barbara Bologna one-size black, padded zip fastening, hooded coat, 'Not SafeFL Padded'. 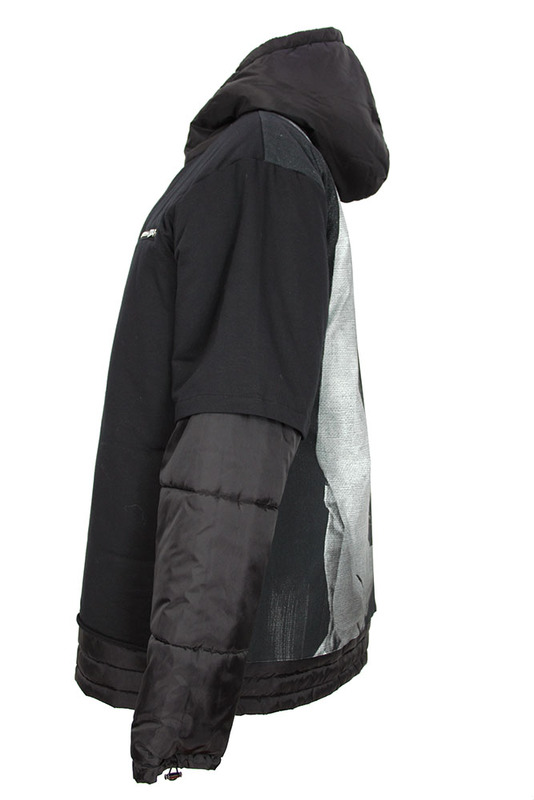 Padded hood, hood has holes for drawstring, but there are no drawstrings. 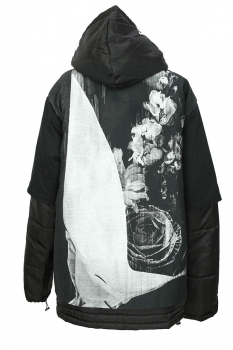 The hood is in the polyamide fabric. The front panels are in black cotton and elastane jersey, fully lined and padded and overlay the main garment, loose at the base and shorter than the main garment. 2 zip pockets and a chest zip pocket. The rear panel has a monotone flower print in stretch fabric over the padded garment and the base of this panel is loose. The sleeves are fully padded with the upper section covered in the black, stretch jersey. The cuffs are drawstring with metal lock. This is a totally stunning piece of clothing, practical (it is warm), beautifully styled, constructed and the fabrics are wonderful, highly recommended.